I am a lipstick/lipgloss junkie, I admit it…Lately I might not wear make up but always wear a little bit of gloss or neutral lipstick. My love? Pinkish lips! My favorite lipgloss? 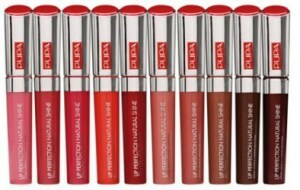 The Lip Perfection Natural Shine by Pupa. This range is just amazing!There are 10 fantastic shades and each gloss costs €14.50 for 7ml of product. It expires 24 months after you open it. I bought the shade N03, a nice pink/fucshia, intense but not excessive, like a bubblegum! Bright but not shimmery, I find it suitable for every time of the day. The texture is creamy and soft. I can control how intense I want it and I adore that! The applicator is really comfortable and precise. As for the lasting: absolutely perfect! I am really satisfied about it! It doesn’t go of completely even when I eat or drink! In me it lasts for about 7-8 hours. It tastes so good!!! And It smells nice, too. Just like sweets. And the best part for me is that it does not dry my lips. It is really hydrating. After I purchase it, I learn that it contains Vitamin E and Bran Rice Oil. What do you think? Do you like it? Let me know your opinion! 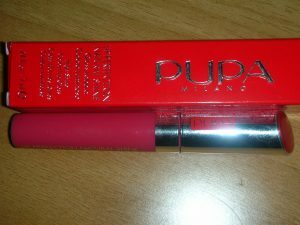 I got my first lipstick of Pupa recently…this sounds good and it lasts so many hours!!! Very pretty and girly shade!! Looks lovely on lips!